Barcelona, May 14, 2018. – IESE’s Executive Education programs have been ranked the best in the world for the fourth straight year by the Financial Times, with the school standing out for the quality of its teaching, the diversity of its faculty and its international scope. In addition to coming first overall in the combined ranking, IESE ranked first for custom programs for the fourth straight year, and third in open programs. The FT ranks custom and open programs separately, and then produces an overall rating for all Executive Education. Regarding custom programs, which are tailor-made courses for organizations, IESE scored high marks across the board, placing in the top five spots in 13 of the 15 categories that the FT uses to rank programs. These include factors such as program preparation, course design, the new skills learned, follow-up, value for money and aims achieved. In particular, the quality of IESE´s teaching, the diversity of its faculty and its international reach stood out. Recent clients include: BBVA, BMW Group, Boehringer-Ingelheim, Campofrío, The Dow Chemical Company, Enagás, Enterprise Ireland, Ericsson, Erste Group, Gas Natural, Grupo Correos, Henkel, Iberdrola, Idom, Kurita, Nissan, Oracle, PageGroup, Pepsico, REE, Rijkzwaan, Roche Schneider Electric, Telefónica and ukactive, among others. 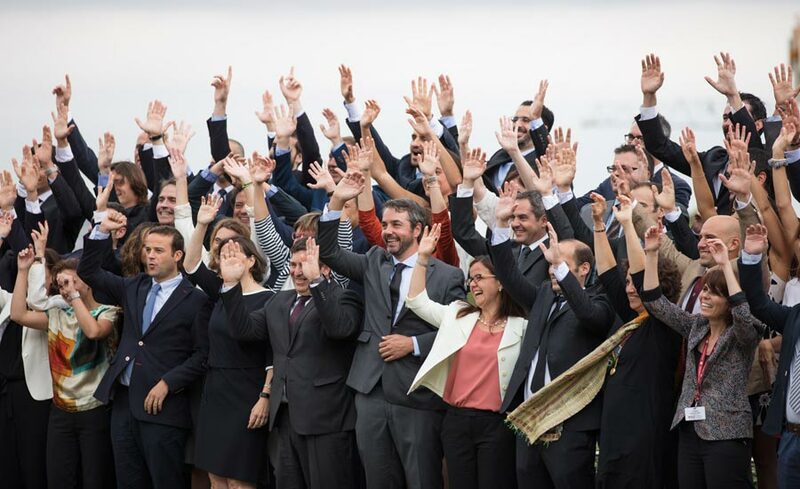 For open programs, participants especially valued how IESE´s programs encouraged new ways of thinking, and equipped them with new skills and perspectives directly relevant to their work. IESE´s internationality and strong alliances with top business schools such as Harvard, Wharton and CEIBS, also drew praise, as they allowed rich opportunities for networking and helped foster an international mindset. Open programs are taught from IESE´s campuses in Barcelona, Madrid, New York, Munich and Sao Paulo, among other locations around the world. The FT ranking is based on survey responses from custom program clients and open program participants, combined with data provided by the business schools themselves. For Rius, IESE’s prolonged stay at the top of the custom program list is due to “the highly-personalized nature of IESE’s programs, which are tailored precisely for each client.” More than 5,000 participants take part annually in IESE’s custom programs around the globe. Regarding the more than 30 open enrollment programs offered each year by IESE at its various international campuses, as well as its more than 40 short focus programs, Rius highlighted the importance IESE places on incorporating the latest academic and technological advances. “New perspectives are essential to improving decision making and thriving in such a highly volatile business environment as our current one,” she said. The other schools rounding out the top three are IMD in second and Insead in third position. IESE has offered an array of Executive Education programs for managers ever since its founding in 1958, a time when the concept of executive education was scarcely known outside of the U.S. The establishment of these programs, aimed mainly at experienced business leaders, constituted a landmark in the history of business education in Europe. the Advanced Management Program (AMP), with international editions in Brazil, Germany, Poland, Spain and the U.S.
the Advanced Management Program in Media (Media AMP) in the U.S.
the Driving Leadership Potential (DLP) program in the U.S.